Northbound: 12th August 2018 to 22nd September 2018, from 9.30pm until 5.30am each night, excluding Saturday nights. Southbound: 9th September 2018 to 20th October 2018, from 10.00pm until 5.30am each night, excluding Saturday nights. 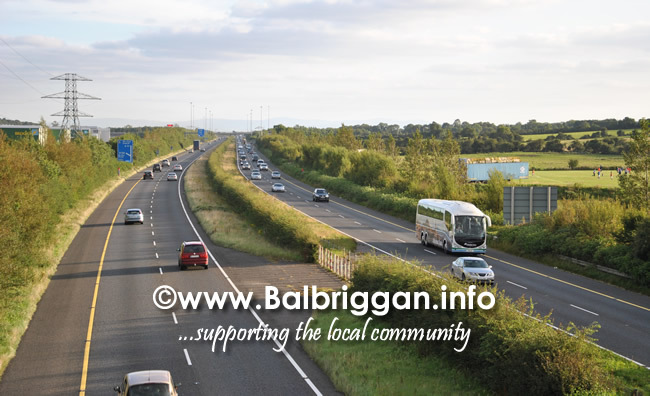 Take 1st exit from 2nd roundabout to Fingal Bay Business Park. Fingal County Council regrets any inconvenience caused in relation to this matter.